Fine actor, but he's been playing a consecutive string of roles as the loony, intense, self-involved guy. He definitely has that comedic scene-stealing thing down pat. Just hope he isn't typecast now as a wacky fringe character, because he's shown more of a range before. A diverse performer who can tackle any genre, whether it be drama or film. He consistently meets the challenges of good roles and is able to rise above less than good writing. Always a valuable member of any cast. Not too shabby as a musician, either. 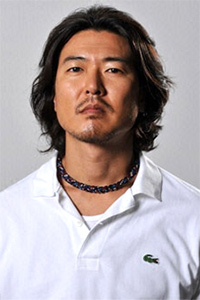 I've seen him in supporting roles like in Densha Otoko, Long Vacation, Jotei and Nodame Cantabile. He is really funny in funny scenes. I wonder what he could be like if given a leading role.